To celebrate the Walker’s 75th anniversary, Crosscuts will feature a series of filmmakers who have visited the art center over the last few decades. Dunye during her 1999 residency at the Walker. 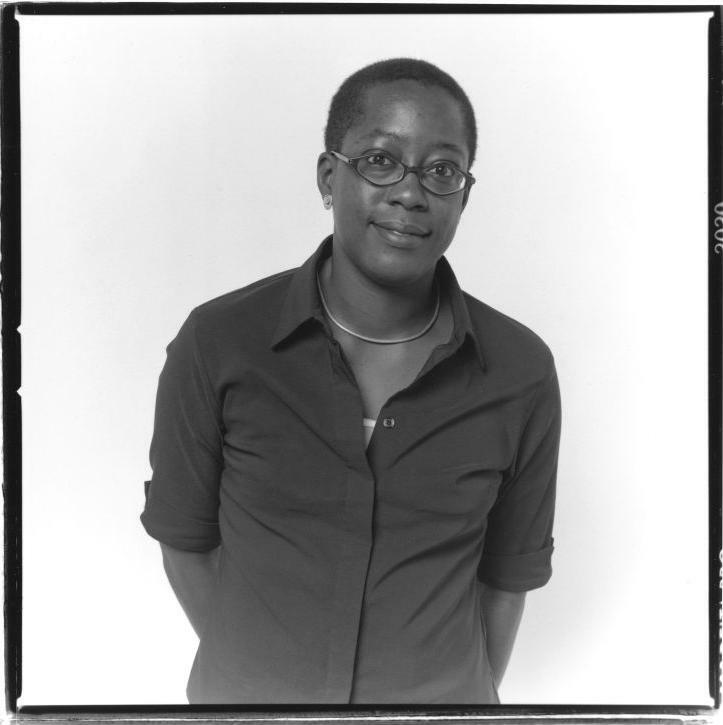 Cheryl Dunye is a self-proclaimed black queer cinema artist. Born in Liberia in 1966, she moved to Philadelphia at a young age. Like Gregg Araki, Dunye also belonged to the New Queer Cinema of the 90s. Her first film, The Watermelon Woman (1996) is a self-reflexive pseudo-documentary about a young filmmaker on a quest to learn about a black film actress from the 1930s, credited only as Watermelon Woman. Dunye plays the leading role as a fictionalized version of herself: a woman who seeks to understand more about the politicization of sexuality, race, and attraction. The film exposes the often invisible stories of black women in film and Dunye’s need to invent her own history. The Walker has prominently featured Dunye’s work ever since her debut film. The Watermelon Woman was screened twice in the late 90s. The filmmaker also conducted a two month residency in 1999 to develop the screenplay for Stranger Inside. Perhaps a precursor to Orange is the New Black, this film made for television examines a young woman detained in a juvenile corrections facility who is transferred to the prison where her mother is serving her sentence when she turns 21. Dunye worked with inmates at the Shakopee Correctional Facility to mold her script. It was important to her that the story was a collaborative process that was reflective of the realities of female prisoners. Dunye also consulted archives at the Minnesota History Center to learn more about the historical circumstances of incarcerated women. She staged readings of the screenplay both inside the prison and at the Walker. Stranger Inside was screened as part of the Women with Vision program at the Walker upon completion in 2001. Dunye’s films have played at countless festivals across the globe and she has earned accolades such as the Teddy Bear award at the Berlin International Film Festival and best feature in L.A.’s OutFest. Partially funded through Kickstarter, Dunye’s latest project is a short called Black is Blue. It follows the story of a trans man who must confront his past when he runs into his ex-girlfriend while working as a security guard.